I was nominated for this award by Ashley from Mommy Lanes Adventures. She has an awesome blog where she posts about her family and life. I love blogs like hers because even though I don’t have any children of my own, I really relate to the posts as a full-time aunt! Check it out! Thank you for nominating me Ashley! Here are the rules for the new nominees which I will post at the end of this post. 1.Thank the person who nominated you and link back to their blog. 2. 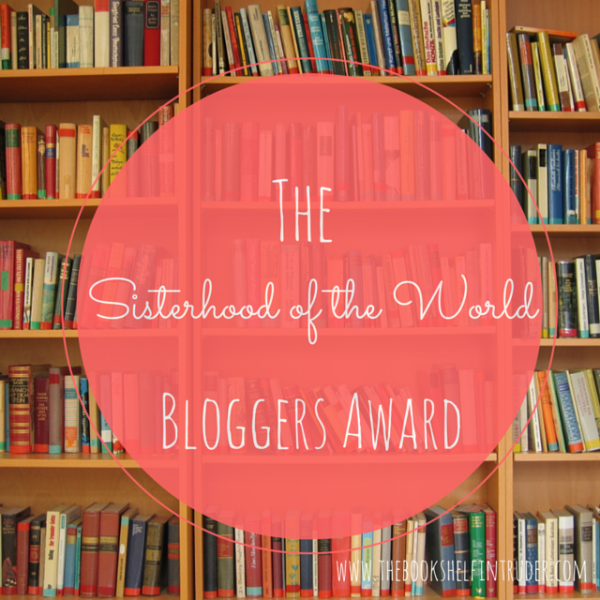 Display the Liebster Award on your blog. 3. Share 11 random facts about yourself. 4. Answer the 11 questions you were asked. 5. Nominate 11 bloggers with less than 200 followers for the Award and have them answer 11 questions. 6. Let the other bloggers know you’ve nominated them. 7. Copy the rules into your post. This one may not be so random since I mentioned it above, but I am a full-time aunt to my two youngest nephews who are four-and three-years-old. Even when I’m not babysitting them, I am here to love on and encourage them. They are growing up so fast! Although I LOVE writing, I find it hard to write pages worth of content on paper: journals, notebooks, etc. unless I’m taking notes from something so I can remember it better or reference it later. I guess I must think faster than I can write so typing works best! I do not wear makeup and I don’t regularly wear jewelry. I have desired to do the latter more often lately but I still don’t. I can’t stand having something on me that might interfere with my movement or tasks, if that makes any sense to you! My “homestate” is California. Yes, I said homestate. I consider the whole state my home even though I was not born there. I love reading but rarely have the time or patience to sit and read anymore. However, I’m coming to realize maybe I am just a lot more picky about my book choices than I ever was before and am investigating new avenues to reawaken my bookworm side. I once had three pet rats when I was 20 years old and I loved them, they were so much fun but had to give them away when I got sick and had to move across country. It is extremely hard for me to get into a strength training routine to complement my cardio routine, even when I see results. I sometimes find a strength training routine that works for me and then I inevitably get sick or something else and then it’s incredibly difficult to get back to it. My favorite breakfast is whole grain white toast with peanut butter and sliced banana on top, of course paired with my delicious coffee! I recently realize that I was finally living life more lately, finding beauty in nearly everything and just living life more fully. I am an introvert and also have anxiety, social included. While I have fun with close family and friends, it is extremely hard for me to be around people for extended periods of time and it is hard for me to be around strangers period. Some outings or get togethers I do better than others. I love my Fitbit. It helps me be more active even in this cold weather where I’m stuck inside for long periods of time. It motivates me to get a certain amount of steps and/or exercise minutes each day, which means I take extra steps to do normal things like get myself more water or do housework! 1. If you could travel anywhere, where would it be? For vacation, I would say Hawaii. I’ve always wanted to go there. 2. What is your favorite book? I don’t necessarily have a favorite book but I was totally in love with the Bloodlines series by Richelle Mead while it was still going. I might even consider reading it through again at another time, which is saying something for me. 3. If you could buy anything no matter the cost, what would you buy? An iPad mini or the newest iPhone model. 4. What is your favorite thing to do? Write, color, read, and have fun times with family and friends. 5. Outside or inside person? Mainly inside but there is also something about nature that restores something in me! So that said, I love being indoors but I enjoy my walks and other exercise outdoors as well. 6. What is something you would love to learn to do? Speak another language, maybe finally learn Spanish or possibly French or Italian. 7. If you could change one thing about your life what would it be? Mainly my living situation. I would love to be living on my own even if it was a small studio apartment, and I would also love to be living in California instead of Indiana. 8. Who is your hero? My mom and sister tie for this slot! 9. What is your favorite television show? Grimm. 10. Coffee or tea? Coffee. 11. What is your biggest pet peeve? People being inconsiderate or completely self-centered. What is your dream car… you know if money weren’t a concern? How many brothers or sisters do you have? Kitchen appliances: white, black, or stainless steel? Do you prefer to live where it is snowy and super cold, or somewhere where it is warmer in the winter? Would you rather go hiking in the Grand Canyon or Niagara Falls? Do you have a favorite shoe brand? If so, what is it? What is your favorite physical feature of yours? What is it that you see in the mirror each morning? Do you see the beauty that is within you? Do you see all that you have to offer yourself, others, the world? Believe me, you have plenty to offer. I see your reflection, you’re unsure and maybe even scared to follow your dreams… to believe that you are truly beautiful, inside and out. However, I ask you to trust me. Trust me when I say that you are beautiful. You have valuable and helpful things to offer to others. You do them every day. To you they might seem small, but they are big to those watching from the outside. Try looking at yourself as others might see you. See your actions how others would see them. How does one change the perception of themselves? First of all, when you look in the mirror, push out all negative thoughts. Anytime a negative thought about yourself enters your mind, cast it aside and replace it with something positive. What physical features do you like about yourself…? Your hair, your smile, your eyes, your body shape, anything at all! Look at all you do for others, your family and friends or even total strangers. You have so much to offer others. Some things you do on a daily basis can be considered valuable and beautiful! Approach the mirror mentally prepared… ready to search for all the beautiful things about yourself. Start with something you already know you like about your appearance. Then let your mind naturally wander to another thing you like about your appearance. Going in with a blank mind ready for positivity will allow you to think of all those things that are good instead of automatically focusing on things that you don’t like so much. Even without the mirror, you can spend a few minutes a day thinking about all you accomplished recently, and all the good works you do on a daily basis. This doesn’t make you conceited. Boosting your self-esteem actually makes you more efficient and productive. You can be more helpful to others if you believe yourself to be just that. Every time you take a peek in the mirror, allow yourself to be proud and happy with your appearance and all you have accomplished outside of what the mirror can tell you. Mirrors don’t tell the whole story, obviously. They can only show you what you can physically see at any one given moment. What about all of those other moments accumulated throughout the day that happen that are positive? So what do you think of your reflection…? Physical reflection, the reflection of yourself that you see in others, and the reflection in your mind based on your thoughts of yourself. It is a process in itself to change these thought processes to be more positive and not put yourself down every time you think of it. It takes hard work and consistent practice, but you are very much capable of that! So often we think of ourselves as failures just because we don’t accomplish everything we set out to accomplish or everything we “need” to do in a day. We are so much more than that! We need to focus on all of the things we do accomplish, all we do for ourselves and others that is good. Tell me a bit about you and what you want to accomplish this week. Are you going to be kinder to yourself if you don’t accomplish everything? Are you going to try to alter your mental reflection of yourself? Hope, such a simple yet powerful word with so many meanings to different people. It’s so important to have hope in our lives. If we didn’t have any hope for the future, what would we be living in the present for? When I think of this word, I think of positivity and future. Sometimes I am just plain tired and that plays with my hope a bit but I manage to keep my hope high somehow by reminding myself that what I am feeling in the moment is only temporary… Tomorrow is a new and fresh day, full of possibilities and I can shape it in any way I feel like. Hope pushes me to move forward. Hope gives me a reason to move forward. Whenever things aren’t going according to plan, I shift focus and remember that if I keep trying hard and doing my best, I will get where I want to go… or somewhere even better! That hope keeps me alive and happy in the moment. In my opinion, it’s ideal to live in the present while looking to the future at the same time… and hope gives me the chance to practice this daily. I have hope that the future that it holds amazing things for me. I am confident in myself to make things happen, but I also know that wherever life takes me is where I’m meant to be. So I will just keep being me, keep holding onto hope for the future, and stay as positive as I can no matter what life throws at me. What does the word hope conjure up in your mind? What do you have hope for? Exercise brings structure to my day, and I love planning my day around my exercise to make it a priority. Feeling more hydrated which in turn flows into other areas of health as well! Enjoying life more because my mind is clearer and I can truly appreciate the beauty surrounding me! While learning how to live a healthier life, I’ve learned so much about myself and life in general. Succeeding at healthy living (and weight loss) has seriously boosted my confidence in myself and my abilities. Doing something this hard proves to me that I am capable of anything I set my mind to! Better sleep… most of the time. Satisfaction and fulfillment, that my life is on the right track with a healthier basis! Weight loss, of course. That’s what I started this for but have learned to view it more as a healthy lifestyle! 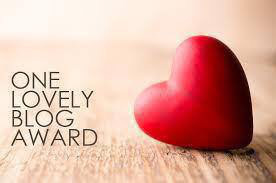 I have been nominated for this award by http://www.itsgoodtobecrazysometimes.wordpress.com. Thank you for the nomination! Thank the nominator and link their blog to your post. Pass the award on to as many bloggers as you went and let them know. What is you favorite time of the day? Night time, when it’s quiet and I can be my most thoughtful. If you were immortal for a day what would you do? Skydive and take one of those dangerous hikes I see on Facebook or Pinterest from time to time. What was the last tv show, book or movie to make you well up? Fast & Furious 7, the tribute to Paul Walker at the end. Where’s Waldo (Wally)? In his book, of course! If you could of personally witnessed anything what would it be? I would have to say the Women’s Rights Movement. Who is your hero? My mom. She is strong and loving. You can pick one person from history and have them truthfully answer one question. Who would you select and what would it be? This one was hard, I’m not big on history, but I will say Amelia Earhart, and ask her how she had so much faith in herself to take the flights she did. If you joined the circus what act would you do? Lion Tamer sounds fun, but honestly I wouldn’t be brave enough so maybe a Magician Assistant. What do you think Victoria’s secret is? Contrary to popular belief on Facebook, I don’t think that it’s because she’s hungry haha, but I think her secret is she has no secret! Which do you prefer, coffee or tea? Where in the world do you want to visit the most? Which do you prefer, cats or dogs? If you were to dress up for Halloween this year, what would you be? Which would you rather do: skydive, bungee jump, or hang glide? How many children do (or did) you want? Thank the blogger who nominated you for the award. Display the banner/sticker/logo on your blog. Share 7 facts or things about yourself. Nominate 5 bloggers that you admire and inform nominees by commenting on their blog. I am a total bookworm… but only when I have time. I enjoy learning and researching. I am a Christian, only recently so but learning a lot as I go along. I am an Introvert, through and through. I’m learning to use this to my advantage or to work around it so I can enjoy life more! While I’m a Californian, through and through, I currently live in Indiana and have for over five years now. My favorite type of book is mystery. I have learned, and continue to learn, a lot about health and fitness. So much so that it has become one of my biggest passions!